Plenty of places light a star atop their tree for the holidays. This is Alaska, and Anchorage does it a little bigger. The holiday tree lighting takes place in Town Square on the day after Thanksgiving, but the star everyone looks for is 14 miles away. You can’t miss it. 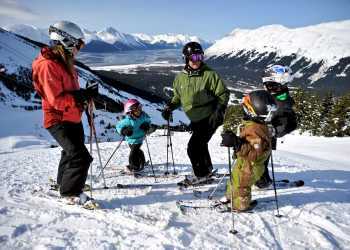 The star is on the side of a mountain, and stretches 300 feet across the slopes of the Chugach. The star comes on every year in late November right about the day of Anchorage’s own tree lighting. Its 350 bulbs stay lighted until the final musher finishes the Iditarod, a widely observed tradition for many Alaskans when it comes to decorating for the holidays. 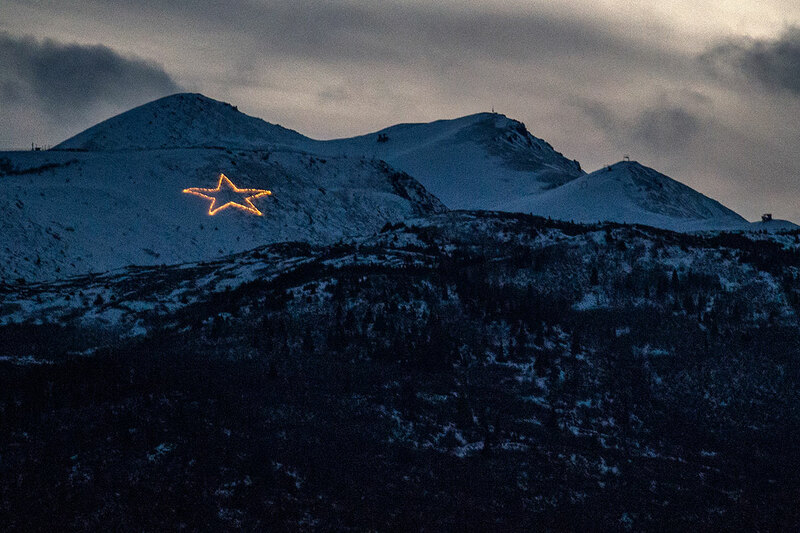 The lights that form the star are maintained by work crews at Joint Base Elmendorf Richardson, which controls Mount Gordon Lyon and the land surrounding the star. The tradition began in 1958, when an Army captain at the nearby missile site placed a modest, 15-foot wide star atop the guardhouse for Christmas. The missile site was decommissioned in the late 1970s, but the star has been redesigned, relocated and enlarged through the years. Once just a single point of light in the mountains, the outline of the star near Arctic Valley is now clearly visible from downtown Anchorage, almost 14 miles away. The five-pointed start is a beacon all winter long in Anchorage.